Almagor Terror Victims’ Association to appeal to the Supreme Court against the release of terrorists as part of the Shalit deal. The Almagor Terror Victims’ Association will file an appeal with the Supreme Court on Sunday against the release of terrorists as part of the second phase of the Shalit prisoner exchange deal. One of the appellants is Yitzchak Maoz, whose daughter Tehila was murdered in the suicide attack at the Sbarro restaurant in Jerusalem in 2001. Israel agreed to release 1,026 terrorists in exchange for Shalit, who was returned by Hamas in October, after five and a half years in captivity. 477 terrorists were released at that time, in the first stage of the deal. Almagor chairman Meir Indor told Arutz Sheva on Saturday evening that some of the terrorists being released in the second phase are “heavy terrorists”, some of whom have served only thirty percent of their sentences. “It is unreasonable and disproportionate that terrorists with only three months left to serve will remain in prison and terrorists who have many years left will be freed just because they belong to Fatah,” said Indor. 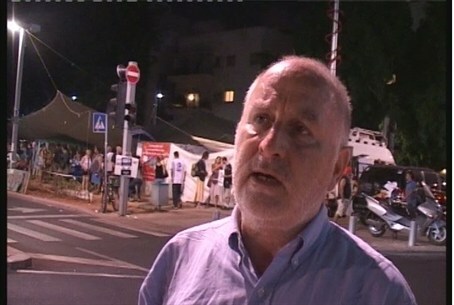 Indor said that the organization has written a letter to the Israeli government in which it urges it “to replace the more dangerous terrorists with ones who are less dangerous.” He added that Cabinet members were surprised to hear the organization’s arguments regarding the second phase of the deal. “We ask you to carefully review our request to check each terrorist and examine whether it would not be appropriate to replace him with a terrorist whose actions are less severe and whose time in prison is set to end shortly,” the organization wrote in the letter. “If you have a terrorist who is not due to be released for another five years and there is a terrorist with half a year left, you should release the terrorist with the shorter time even if he belongs to the organization that you do not wish to honor,” added the organization. On Wednesday, the Israel Prison Service (IPS) uploaded the list of prisoners designated to be released in the second stage of the Gilad Shalit deal to its website. Meanwhile, the Shurat HaDin legal rights group filed a petition with the High Court requesting that the release be postponed, in order to allow relatives of individuals harmed by the terrorists to express their opinions.